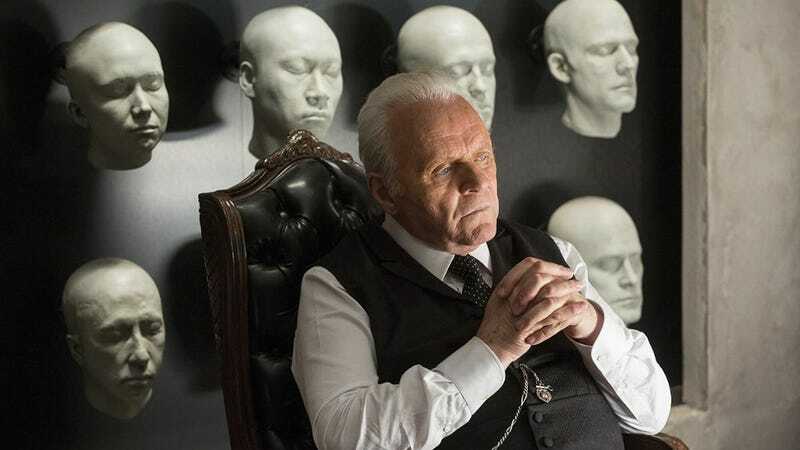 Image: Anthony Hopkins in Westworld. Science fiction author Isaac Asimov famously predicted that we’ll one day have to program robots with a set of laws that protect us from our mechanical creations. But before we get there, we need rules to ensure that, at the most fundamental level, we’re developing AI responsibly and safely. At a recent gathering, a group of experts did just that, coming up with 23 principles to steer the development of AI in a positive direction—and to ensure it doesn’t destroy us. The new guidelines, dubbed the 23 Asilomar AI Principles, touch upon issues pertaining to research, ethics, and foresight—from research strategies and data rights to transparency issues and the risks of artificial superintelligence. Previous attempts to establish AI guidelines, including efforts by the IEEE Standards Association, Stanford University’s AI100 Standing Committee, and even the White House, were either too narrow in scope, or far too generalized. The Asilomar principles, on the other hand, pooled together much of the current thinking on the matter to develop a kind of best practices rulebook as it pertains to the development of AI. The principles aren’t yet enforceable, but are meant to influence the way research is done moving forward. Artificial intelligence is at the dawn of a golden era, as witnessed by the emergence of digital personal assistants like Siri, Alexa, and Cortana, self-driving vehicles, and algorithms that exceed human capacities in meaningful ways (in the latest development, an AI defeated the world’s best poker players). But unlike many other tech sectors, this area of research isn’t bound by formal safety regulations or standards, leading to concerns that AI could eventually go off the rails and become a burden instead of a benefit. Common fears include AI replacing human workers, disempowering us, and becoming a threat to our very existence. To address these and other issues, the Future of Life Institute recently brought together dozens of experts to come up with a set of core principles to nudge AI development in positive directions and steer us clear of apocalypse scenarios. Attendees of the conference came from diverse backgrounds, including engineers, programmers, roboticists, physicists, economists, philosophers, ethicists, and legal scholars. The 23 Asilomar AI Principles have since been endorsed by nearly 2,300 people, including 880 robotics and AI researchers. Notable supporters include physicist Stephen Hawking, SpaceX CEO Elon Musk, futurist Ray Kurzweil, and Skype co-founder Jaan Tallinn, among many others. “Our hope was—and will be going forward—to involve a very diverse set of stakeholders, but also to ground the process in the expert knowledge of the AI developers who really understand what systems are being developed, what they can do, and where they may be going,” noted participant Anthony Aguirre, a physicist at the University of California, Santa Cruz. Discussions were often contentious during the conference, but a high level of consensus eventually emerged. To set a high bar, the FLI organizers only accepted a principle if at least 90 percent of the attendees agreed with it. The principles were organized into three sections—research issues, ethics and values, and longer-term issues. Under research, principles included the need to create “beneficial intelligence” as opposed to “undirected intelligence” (more on this in just a bit), and an admonition for AI developers to maintain a healthy dialogue with policy-makers. Ethics and values included the need to ensure safety at all stages of AI development, the instilling of human values into a machine mind, the avoidance of an AI arms race, and the need to maintain human control. Long-term considerations included risk assessments, control measures, and adherence to the so-called “capability caution”—a warning that we should never underestimate the potential power of advanced AI. Patrick Lin, a conference attendee and the the director of the Ethics + Emerging Sciences Group at California Polytechnic State University, says the Asilomar AI principles sprung from “a perfect storm of influences” he hadn’t encountered before. “This was a standard-setting exercise in a field that has no cohesive identity, making the exercise much more difficult,” he told Gizmodo. Some of the items on the list are a bit of a no-brainer, such as the need to avoid an AI arms race and to ensure safety. But other items, though simply stated, are considerably more complex. Take the injunction to develop “beneficial intelligence.” It’s vague, but Aguirre says thats’ a strength at this early juncture. Trouble is, AI is becoming increasingly better and more efficient at many tasks, making us more inclined to offload those responsibilities. Today, for example, algorithms have taken over as our stock traders. There’s concern that battlefield robots will eventually be “taken out of the loop,”and given the autonomy to kill enemy combatants of their own accord. Aguirre says we will cede some decisions to AI systems, but we should do so with care. “I already listen to Google Maps, for example, which helps me decide what route to take through traffic,” said Aguirre. “But recently I was caught in a mudslide-caused traffic jam for an hour with zero movement, while Google doggedly informed me it was a 48 minute trip. I eventually ignored the instructions and drove home a very roundabout way that saved me hours.” He says it’s important that we keep our eye on what decisions we are delegating and which ones we really want to keep for ourselves. Many of the principles on the new list fall into the “easier said than done” category. For instance, there’s an injunction for AI developers to be open and transparent about their research. Given the high degree of competition in the tech sector, that seems like a pipe dream. Aguirre agrees it’s an important and difficult issue. In terms of getting developers to comply with these principles, Lin says people tend to have a hard time understanding the value of norms, leading to calls for the “fangs of law.” Failure to disclose security faults in an AI, for example, could lead to stiff fines and penalties. But this might not always be the case, requiring strict—and even international-level—oversight. It’s not impossible to imagine a company like Facebook or Google developing a superintelligent AI that can simultaneously boosts profits to unprecedented levels and pose a catastrophic threat to humanity. With profits soaring, a big company might not care about violating “norms” and having to face global condemnation. Alarmingly, we have no provision for this sort of thing. Lin agrees that value alignment is a particularly thorny problem. “At Asilomar, there was a lot of talk about aligning AI with human values, but little discussion of what these human values are,” he said. “Technologists understandably are uncomfortable confronting this prior question, but it’s an essential one. If you have a perfectly aligned AI [i.e. an AI perfectly aligned with human values] but calibrated to the wrong human values, then you just unleashed a terrible technology or even weapon.” As a classic (but extreme) example, an AI could be told that making lots of paperclips is good—and it proceeds to turn the entire planet into paperclips. As Lin fears, a seemingly innocuous value could pose a serious threat. Finally, there’s the issue of artificial intelligence as an existential threat. On that topic, the Asilomar guidelines speak to the importance of overseeing any machine capable of recursive self-improvement (i.e. the ability of an AI to continually improve its own source code, leading to a potential “run away” effect, or program itself with a set of features that run contrary to human values). The challenge there will be in implementing the required safeguards, and ensuring that the machine stays “in bounds” when it comes to certain modifications. This is not going to be easy. A final important item on the list is the “capability caution.” Given that there’s no consensus on how powerful AI might become, it would be wise to refrain from making grand proclamations about its maximum potential. In other words, we should never, ever, underestimate the power of artificial superintelligence. For now, this list of principles is just that—a list of principles. There’s no provision to have these guidelines enforced or updated, nor is there any call for institutional or governmental oversight. As it stands, developers can violate these best-of-breed recommendations, and face no consequences. So will these 32 principles keep us safe and protect us from an AI apocalypse? Probably not, but the purpose of this exercise was to pool together the best ideas on the matter in hopes of inspiring something more concrete. As imperfect and idealistic as these principles may be, we’re better off having them.